I loved this trailer so much, when the series’ December premier was delayed, I decided to read the novel. But I should have known, after being deceived by trailers time and time again, to not place such high expectations on the series. And here I was witnessing how my hopefulness anticipation would once again bite the dust. But this was a different kind of manipulation, one I believed was aimed directly towards those who had read the novel. I just wanted a faithful adaption, which I believed the trailer tried hard to emulate. But then reality struck and here I was watching a 30-episode series turn into 52 and an abundance of fillers and changes engulf this storyline I had come to love. What was presented, almost felt like a mere shell of what could have been. 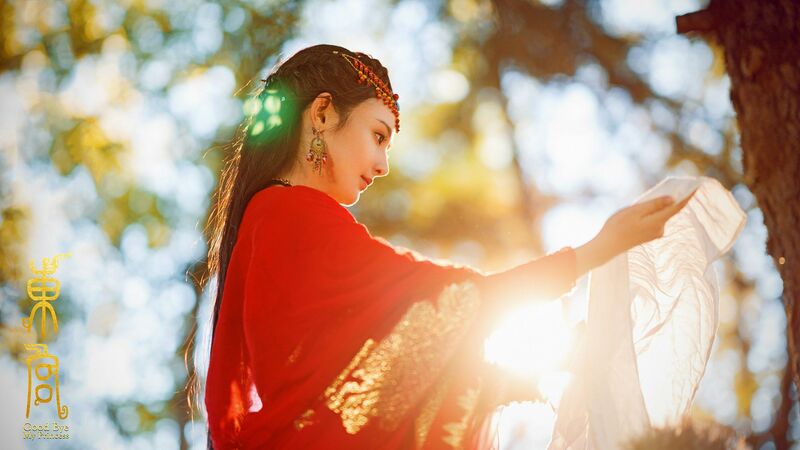 Xiao Feng is the carefree, spirited and pampered ninth princess of Western Liang. 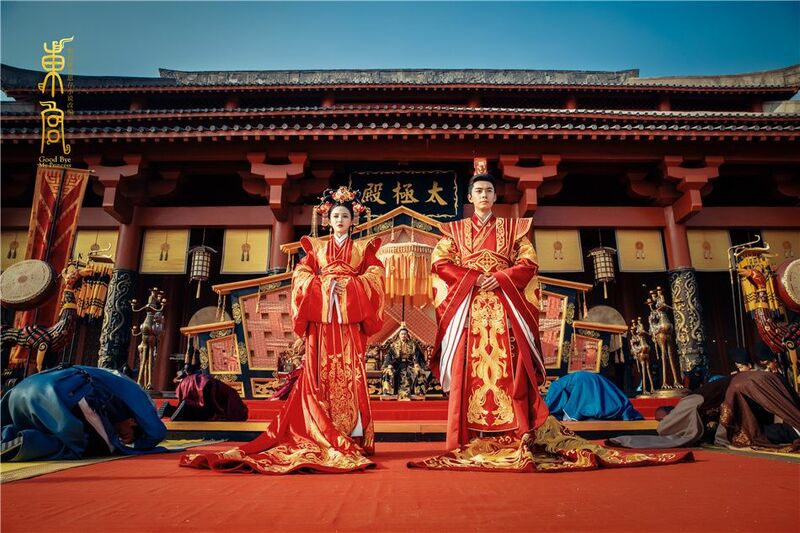 When news is delivered that kingdom of Zhong Yuan has sent the crown prince to request a political marriage with Xiao Feng, her mother helps her sneak away. As she awaits her shifu, Gu Jian; the man she both loves and has grown up with, she encounters a badly injured man, who she helps save. In exchange for her help the man promises her three wishes. 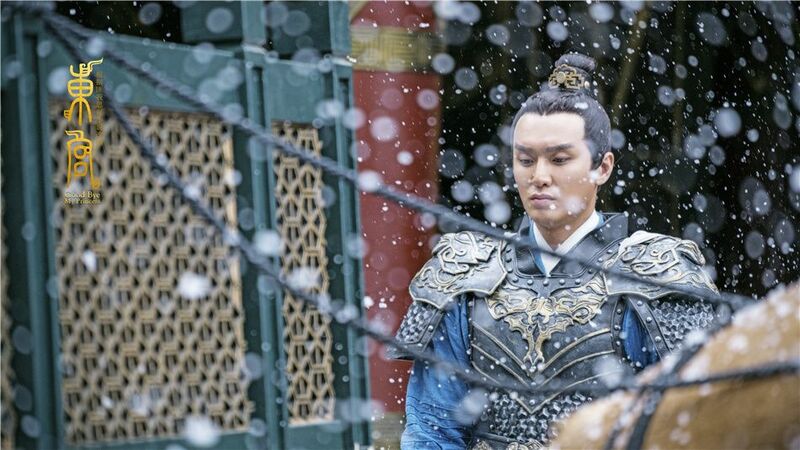 However, behind the façade of this common man, is Li Cheng Yin; a prince who has the mission to avenge his birth mother by taking down the empress. 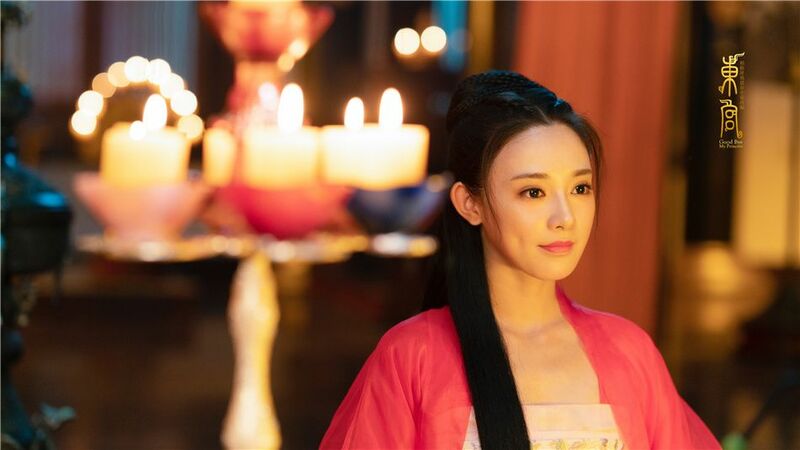 With the help of his maternal cousin, Gu Jian has reluctantly complied to help and in so betraying the woman he loves, under the disguise of Gu Xiao Wu, Li Cheng Yin is given the chance to approach Xiao Feng. 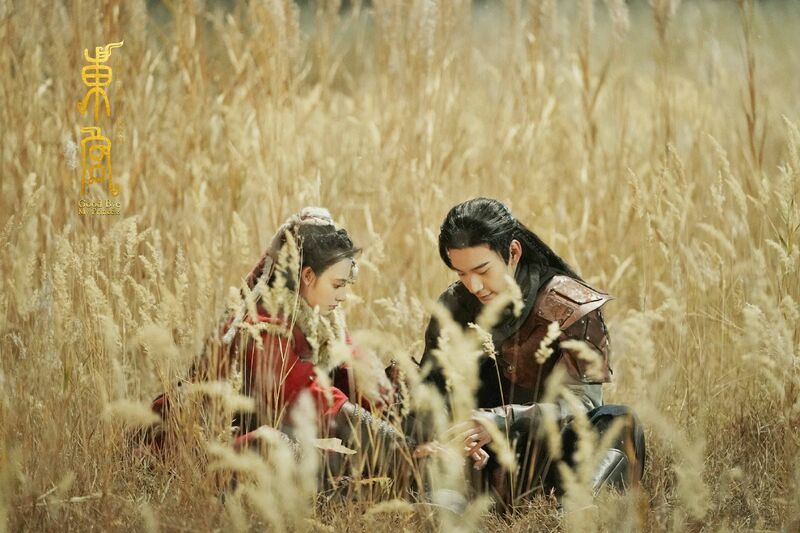 In so, Xiao Feng and Gu Xiao Wu share a brief romance intertwined with lies, deception and innocence. The day of their marriage, as planned, a war ensues between the tribesmen of her maternal family and Zhong Yuan. The man she loves, removes his mask and with that kills the Gu Xiao Wu in her heart. She witnesses the death of her maternal grandfather, who falls along with his clan. In addition, her mother has been forced to commit suicide and her father has been driven into insanity. 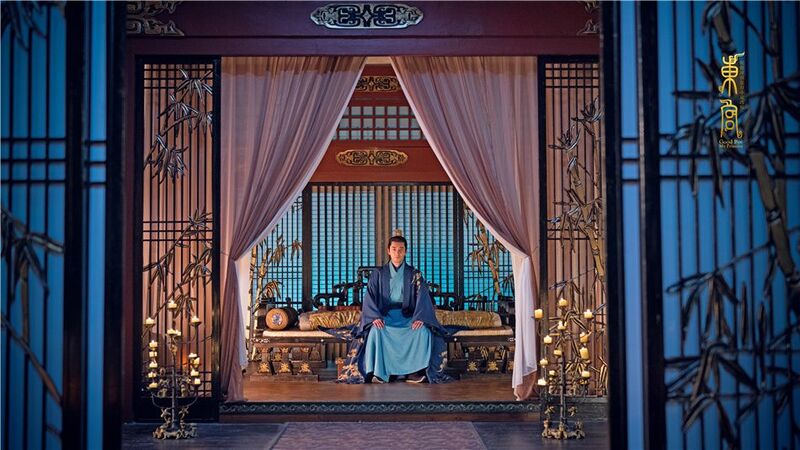 However, Xiao Feng is still unable to escape the marriage between her and the crown prince of Zhong Yuan. She soon finds out that the crown prince is dead and that the man she once loved is likely to have climbed upon the corpses of her loved ones to become her future husband. Left with no choice, having heard of the legend of the River of Forgetfulness, she risks her life and jumps. Unexpectedly, Li Cheng Yin jumps after her, because he too wants to forget. Having forgotten each other, their paths inevitably are made to cross, but will it end in tragedy this time too? This review is going to be broken into sections, as you’ve probably already noticed, because I like to ramble and this way, I feel I can adequately force myself to touch base on all the things I want to say. Some of you may have read my reply to Kappy’s First Impression post and most of the views I presented there still holds for this series. For most Chinese drama viewers, the storyline to this series isn’t exactly new or original. But I’m compelled to familiarity and probably most of the viewers of this show are too. I’m not going to critique it on storyline uniqueness, because I would be lying if I said I was not drawn to these stories. This series does, however, suffer from what many other recently produced Chinese dramas are critiqued on. For the past few years, episode numbers have been quantity over quality, so one of the things I was initially drawn to was the 30 episode post production estimate. However, reality is cruel and so I watched the episode count jump to 52. One of the issues here was that there really wasn’t enough storyline for 52 episodes in the original novel, even 30 episodes was stretching it. We’ve seen fillers that emphasis on side characters, and fillers that were just plain flashbacks over and over again, but the filler in this drama was the political plot line. As the novel is written from Xiao Feng’s prospective, for a character so innocent and unaware of the plotting going on behind her back, she was a mere pawn to the main players. When the series decided to bring forwards these background details, I was not readily willing to force myself upon these scenes. So I didn’t. I skipped most of the politics, because it was generally between characters I did not care for and even if Li Cheng Yin was involved, I never liked his character enough to care. The story is called Eastern Palace, but he didn’t become crown prince until half way through the series, which really showed the pacing issue. Furthermore, this drama suffered from many editing inconsistencies. There is one problem with adding parts to a storyline, but when you drag a series out this much and yet still cut short the anticipated scenes from the novel there is bound to be backlash. Makes less sense when that scene is followed by the gifting of the damaged item in the previously cut scene. There’s another issue when you put parts of the deleted scenes into a flashback. I’m still mad that the fireflies scene was edited in such a manner that it just became another scene. The depth and significance of each time she asks him to collect the fireflies for her in the novel was all lost with that change. One of the most jarring issues for me, was this half reveal of the truth behind the death of her maternal clan. After finding out that he was the reason for their death to not only tolerate him, but fall further in love with him, just didn’t make sense to me. Especially since the difference of knowing parts of the story and her attitude towards knowing the full story is too big of an extremity. I felt this really altered the potential in the climax of the story when she would regain the memories of their past. Another concern I had was in the second last episode when they go back to this issue of who she loves. She had just confessed in the episode before that, by telling him that he was the only one she ever loved. I know he had been drugged, but at the moment she confessed, it didn’t seem like he had been affected by the medicine. The last episode in particular felt like a 40-minute filler, as her decision to live for her people was such a drastic difference from the ten minutes prior when she was ready for everything to end. I didn’t think it was necessary for all the additional scenes to be added in between her jumping and the ending, so the impact of her actions was not as magnified as they could have been. Li Cheng Yin remembering their past added absolutely nothing to these 40 dragged out minutes. 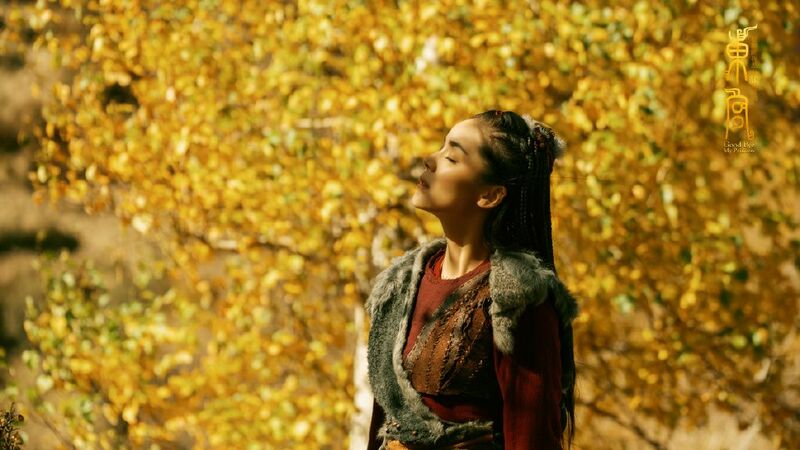 Xiao Feng isn’t a strong female lead, but nor is she meant to be. Her innocence in the novel is followed with self-awareness, but in the drama her innocence is more like your typical damsel in distress. I didn’t feel like she was a character that needed to be protected and sheltered when reading the novel, but the drama makes me feel like she’s completely incapable of doing things for herself. Like why did she even agree for Zhao Se Se to help her escape? Was the purpose only for Li Cheng Yin to explode and reveal his true intentions? In the novel I felt terrible for her, but for some reason the more pitiful she was in the drama the less pity I felt for her. She does have her feisty moments when she stands up to Li Cheng Yin, but she’s still extremely weak to his cruelty. I understood the depth of her love for him, but for her to be able to tell him to live on and that she only loved him just made her character too forgiving. In addition, how he made her watch Gu Jian die and how he disregarded Ah Du’s life in doing so, just made me wonder how was she not repulsed by him? Gu Xiao Wu retained in her mind as a beautiful memory, whilst Li Cheng Yin represented cruelty and pain. When she died the only difference behind being dead or alive, was whether she would have to continue facing Li Cheng Yin. For her to call him Gu Xiao Wu and the forgiveness it implied just annoyed me. Li Cheng Yin did not deserve to know she had forgiven him. He also did not deserve to know how much she loved him. Her death was meant to signify how living with him was more torturous than not living at all. Li Cheng Yin was our other main character. He’s an extremely flawed character and not one to be liked. Which I guess was good, because I could never like or forgive him. The series’ attempts to rationalise him failed miserably for me. Like Xiao Feng, Li Cheng Yin was a political pawn to the empress and emperor. He was raised by the woman that killed his mother and was cast aside by his father, in fears that showing the young prince favour would allow the empress to gain more power. He may have been a victim of his own upbringing, but his cruelty, lack of compassion and entitled attitude was beyond redeemable. The writers do attempt to make him nicer in certain parts, but in the web of relationships created in the series, he also became crueller in others part. The scene where he killed Gu Jian, knowing that they were cousins was beyond anything I was ever able to imagine would be in the grasps of Li Cheng Yin. Especially since Gu Jian was only a ‘rival’ in love and the only element fuelling Li Cheng Yin’s anger was his own jealousy. 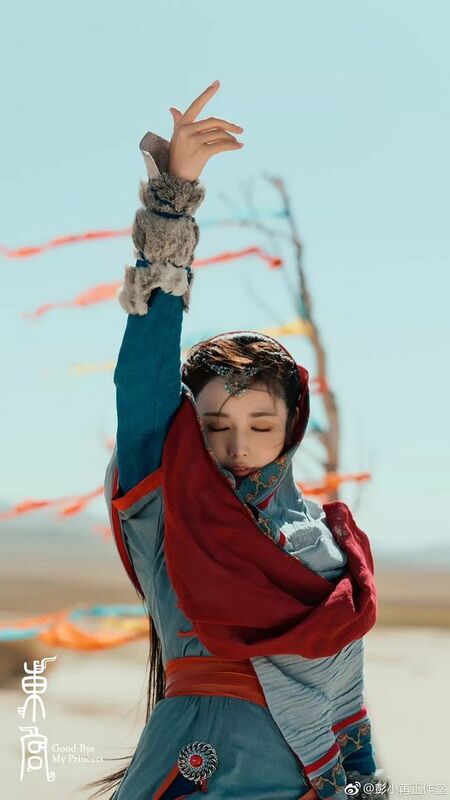 I understand the scene was similar to the one in the novel, however the added element of familial ties and holding onto Xiao Feng to force her to personally witness with her own eyes almost startled me. (Perhaps my memory is bad though, so don’t hold me on that being the exact events of the novel.) For him to think that after that all of this, there was still a recoverable road for their romance, in which Xiao Feng could remain by his side, showed his extremely entitled attitude.To Li Cheng Yin, it was really only his emotions that mattered. Even if there was no painful past between the two, the events of that night alone was enough for any person to walk away. I did not understand the need for him to be ‘faithful’ in his love to Xiao Feng. It made more sense to me that he was able to be with other women after she died, because that was the kind of person he was. He would never be able to let someone be in the way of his ambitions or his duty as emperor to provide off spring. He was really forgiving to Zhao Se Se, even more so than in the novel, which I guess was an attempt to make him nicer. In the novel Zhao Se Se was only a pawn used to take down her family in the same way that he took down Xiao Feng’s. Li Cheng Yin was meant to be so viciously cruel that there was no redemption for the character and readers would understand why the ending Fei Wo Si Cun chose was truly the only way for it to play out. For a character that’s not meant to be liked, it’s sometimes just easier to find more ways to hate him. The one character I liked, both in the novel and in the drama was Ah Du. I didn’t mind that they made her able to talk, because the reason she chose to be mute was understandable and justified. She loved Xiao Feng, as a sister to the extent that watching Xiao Feng be happy was all Ah Du needed. She may have been burdened with retaining the memories the couple had lost, but she whole heartedly was ready to let go of her own vengeance and even romance to watch those she cared for be happy in their oblivious state. Pei Zhao is the only other character I really want to talk about. I went from liking him in the novel to finding his subordination to Li Cheng Yin, making him just as guilty as the latter. Well not to that extent, but I felt like he just became another side-line character I no longer cared about. The only actor I’m familiar with in this series is Gallen Lo; from the many years of childhood I spent watching TVB dramas. I wouldn’t say this is Gallen’s strongest performance, but in no way is he a weak link in this drama. This was a series where many of the more veteran and experienced actors really ran circles around the younger cast in terms of acting. The production took a huge risk by giving the titular role to new actors, which was a bold move that inevitably did not pay off. Peng Xiao Ran is lucky she’s both pretty and under Fan Bing Bing’s studio, because besides being Fan Bing Bing’s baby chick she doesn’t have the acting talents or credentials to land her a lead role. I know this sounds harsh and well it truthfully is. 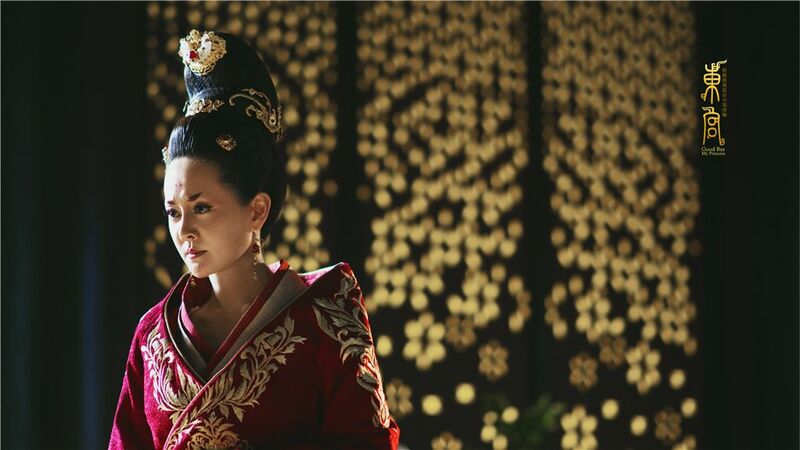 The only scene I was slightly impressed with her acting was when Gu Jian died. She was able to portray Xiao Feng’s innocence, but I felt she added a very child-like and even cartoonish manner to the character. Her acting is very one dimensional, almost like she learnt how to act based on how cartoon characters express their emotions. The entire duration of her rolling scene with Li Cheng Yin, her eyes were just wide open in shock. When she was meant to cry it was quite obvious many of the times no tears were prevalent, especially if her eyes had to be closed during the scene. I think Peng Xiao Ran should focus on taking on lighter roles, ones that are less emotionally draining and require less depth in acting. I’d like to note though that her bad acting, whilst unnatural was not at the calibre in which I felt I had to stop watching because of her. Chen Xing Xu was almost like a beacon of light in terms of acting talent compared to his female lead. However, he was not perfect either. He had moments at which I felt his expressions were a little exaggerated. This is especially evident in scenes where he’s angry. 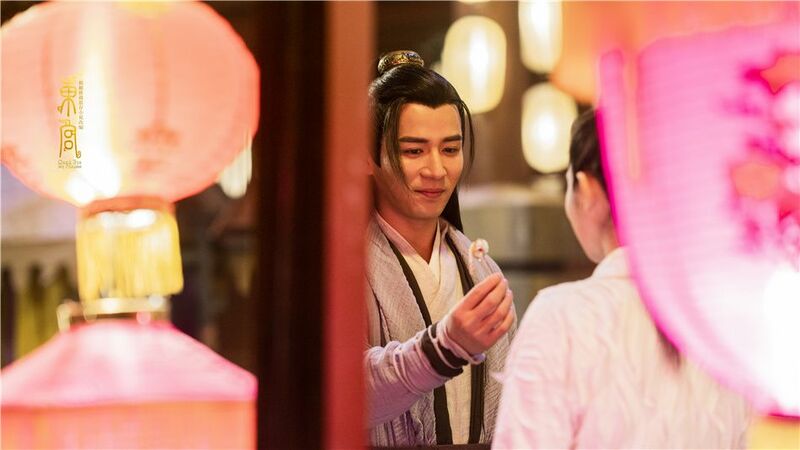 He was able to put a slightly more playful spin to Li Cheng Yin when interacting with Xiao Feng, which in this more serious toned drama was a needed element of relief. His interpretation of Li Cheng Yin was not what I expected from reading the novel, but for the writing and story direction of the series, his character had to be portrayed in such a manner. I felt like his acting in the ending scene was a little too lively in a subtle overacted kind of way. I interpreted the epilogue in the way that when Xiao Feng died, his emotions died with her. Probably just me reading too into it though. What I think was a shame though, was his inability to carefully weave in the exact moment he fell in love with Xiao Feng the second time. In the novel it was when he awoke from his illness and Xiao Feng was still holding onto his hand, whilst needing to use the bathroom. The drama also alluded to this moment, with the posters, but in the series, I felt it immediately went down the comedic/playful route. I don’t have a lot to say about Wei Qian Ran as Gu Jian, but as he was the other rival for Xiao Feng’s love, all I can really say is I think he wasn’t the best choice for this character. It was not his acting that was a hindrance, because he was pretty stoic in the series, which I felt was the writing of his character. This is extremely shallow to say, but the Gu Jian in the novel was meant to be extremely beautiful. 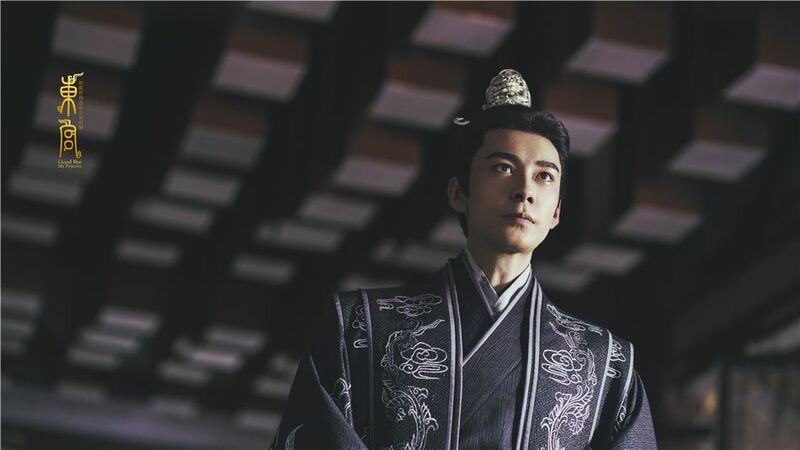 Even more so than Li Cheng Yin, but I really felt like the drama version of him was not. 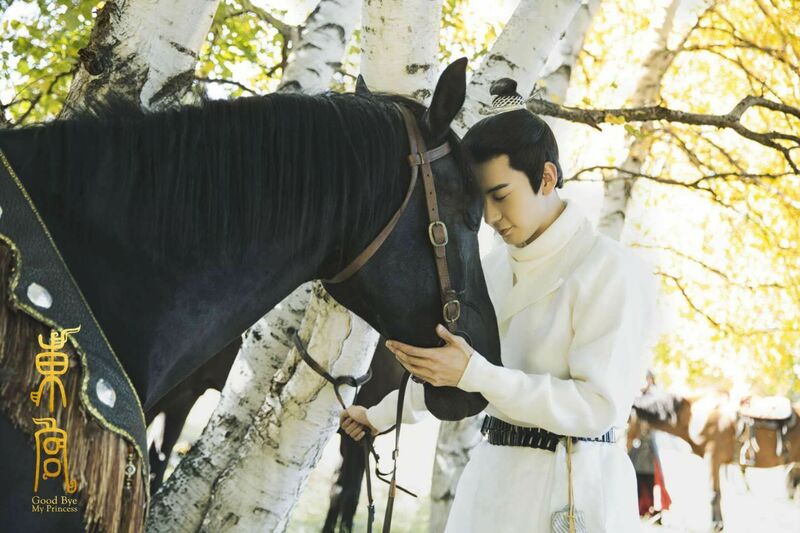 I also think Pei Zhao was miscast, as he wasn’t as charming as required by the character and he really didn’t visually suit Xiao Feng in a romantic kind of way. The scenery and settings for this drama were mostly mesmerising. They were one of the many things that drew me into this series. 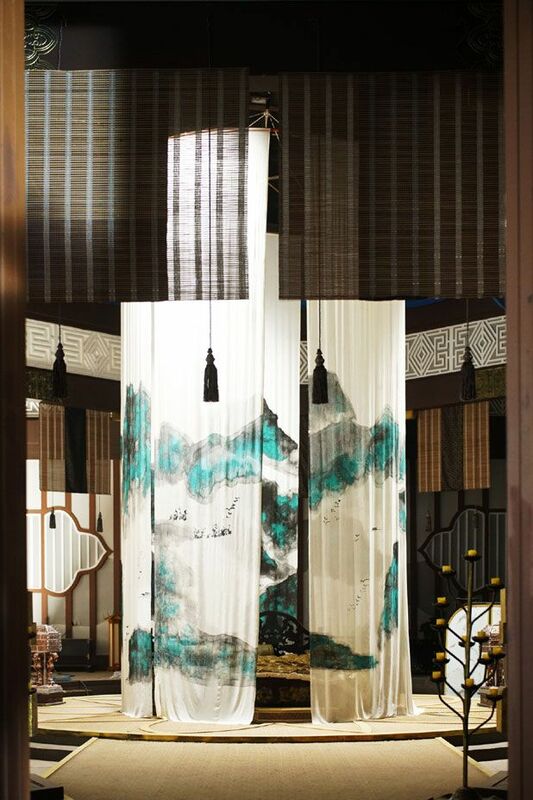 I loved the look of Li Cheng Yin’s bedroom, especially the drapes with the mountainous painting. The natural scenery was also really beautiful, one scene in particular that I loved was the bridge where they met again. The only critique I have for the sets were that some of the palace sets were a little bland. That being said, the reason I can’t say that the cinematography for this series is amazing is because the ambitious film work and editing didn’t coordinate in a coherent manner. If the vision behind the cinematography had been paired with smooth editing, I believe that this would have been the best cinematography we’ve seen in a while for a Chinese drama. I know this isn’t necessarily the fault of the cinematographer, but rather the editor. One example I can think of was the scene in which the camera zooms from Xiao Feng and Gu Jian talking onto Li Cheng Yin, who for some reason has climbed up a rock to be alone. One moment they’re sitting next to each other talking and the next thing, we’re zoomed into Li Cheng Yin, and then in the background Xiao Feng’s head is somehow already leaning on Gu Jian’s shoulder. The other issue with editing I’ve mentioned before with flashbacks not happening and certain events not chosen in a coherent manner. 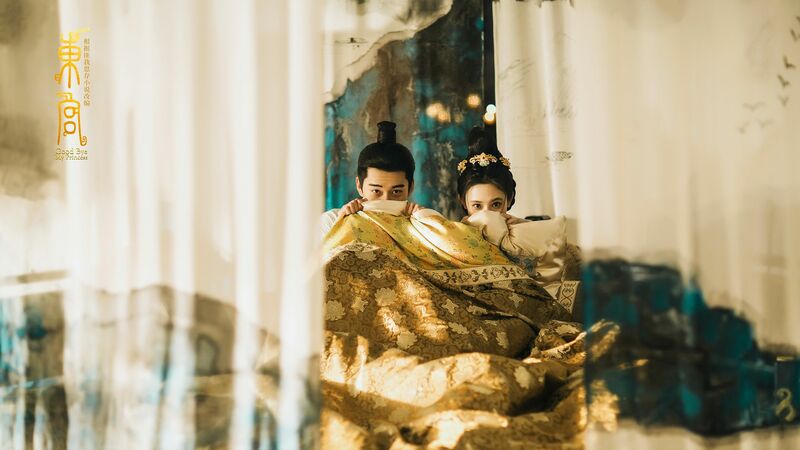 Another major problem with the scene that surrounded that episode, in which Li Cheng Yin wakes up after being unconscious and refuses to let go of Xiao Feng’s hand was the obvious check bite that was very apparent. My only thought was why was the scene edited like that and cut from the series if the sudden appearance of a bite mark was so visible? The last scene that I want to touch base on was the tumbling scene at the beginning of the series. I was not a fan of the scene and felt the scene transitions into her beautiful red dress flowing in the sky was awkward. It felt out of place and too forced. It was a moment that should have been paired with romance, but personally the moment was not romantic at all. Credit should be given where credit is due. This is probably the criteria I have the least complaints about, and it is mainly praises. I loved almost every single outfit for Xiao Feng. Her red dresses in particular were my favourite. The only ones I wasn’t the biggest fan of were the outfits during the time they were wandering the desert. Another was the one chosen for her to wear during the first time Li Cheng Yin would stay the night at her residence. All of the other sleeping gowns shown in the series were more transparent and beautiful. But when he spends the night there’s a sudden decision for her to dress like a nun in comparison. I liked the subtle details in the men’s clothing. The hairstyles chosen for all the characters were also extremely flattering. However, there are two characters whose makeup, in particular, eyebrows were an interesting choice. The first was Pei Zhao, where the peculiar rectangle shape made him look strangely angry all the time. The second was the empress, whose eyebrows are very obviously modelled from the last year of the Zhenyuan period of the Tang Dynasty. It was strange for her to be the only female character to have them. Although, the very different and obscure look paired with her lip make up aided in painting her as a villain. The music grows on you, I wouldn’t say there was anything exceptional. But that being said, almost all songs can grow on me, until they become so over-played, I hate them. Thankfully didn’t happen in this case. Upon first listen the theme song, First Sight was quite unique though. If I was to sum up my thoughts for this series in one picture it would be that Tyra Banks “I was rooting for you” meme. If you don’t understand meme references, I’m sorry. I wanted so badly to love this series, but I just didn’t. I was so attached to this novel and had such hope for this series, because most of my favourite novels have had subpar television adaptions. I unfortunately have to add Eastern Palace to that list as well. It’s not the same level of disappointment I felt towards Hua Xu Yin or Shattered Glass, but failure is still failure. Goodbye My Princess was an ancient romance that got lost in politics. It’s a series that retains about 60% of the essence of the original novel. On the other hand, in terms of Yu Zheng’s standards, almost enough to be another series and not be copyrighted for it. I felt deceived by the trailer that tried so hard to not show the changes. However, I am aware that I’m talking about this series from the point of a fan of the novel. If I were to summarise this series to someone who had not read the novel, I would tell them it’s a series with mesmerising scenery and costumes with a beautiful damsel in distress. She’s innocent to the extent she’s almost hopeless and the actress, whilst visually up for the part needs improvement in the acting department. It was a series with so much potential that resulted in a rather anticlimactic production. Although it kept me around for 52 episodes, I regret the 30+ hours I lost. It’s a drama that isn’t so horrible that one should avoid it, but nor does it deserve 100% of anyone’s attention. If you’re extremely bored and have a lot of time, perhaps trying to multi-task on certain things, it may be a nice series to have on in the background. But at last, it is still a tragic romance with a journey that will guarantee tears. Wow, if you read the entire review, thank you, because I know it was long~. What did you think about Goodbye My Princess? 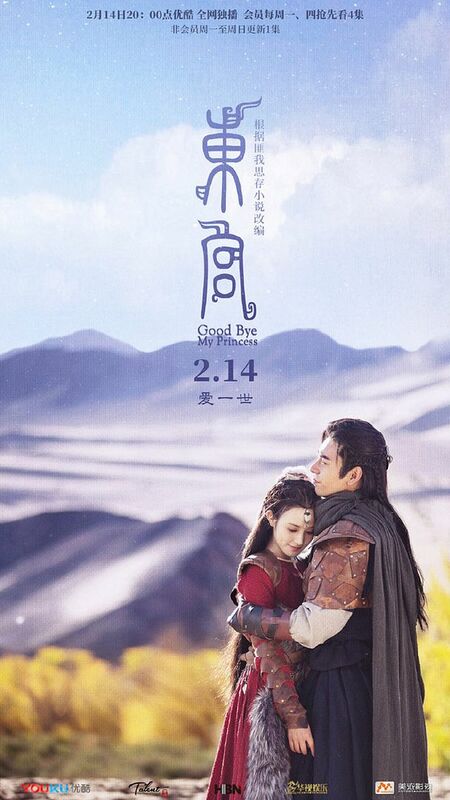 This entry was posted in Discussion Posts, Reviews and tagged Author: Fei Wo Si Cun, Cdrama, Chen Xing Xu, Eastern Palace Drama // Goodbye My Princess (东宫), Finale, Gallen Lo, Novel Adaptions, Peng Xiao Ran, Shawn Wei by Iridescent. Bookmark the permalink. Thank you so much for the in depth review of this drama. I had been wondering whether or not to watch this drama, because of the trailer, even though I am not a fan of tragedies. Your review helped me a lot. Thank you. Eh idk. Having not read the novel, and having no interest in reading the novel (it’s not really my typical genre anyways), I wasn’t really disappointed by this at all. I think honestly it’s about the lens you’re viewing this with. Standalone, as an idol period romance drama, going in knowing that for the most part the main cast is fairly new and green, I was actually pleasantly surprised. I think it’s a decent drama I watch really to pass time sometimes. Admittedly I haven’t watched all of it, having skipped around depending on what episode appears on my screen (cuz admittedly the plot isn’t complicated enough to require me to watch continuously), and also haven’t kept up with the recent eps. Idk I think this review is very thorough, but for me maybe a little tough with high standards. It’s definitely just a difference in perspective and expectations tho. I’m coming from a viewpoint with little to no expectations for this drama prior to watching, and honestly am not particularly interested in the source novel (or Fei Wo Si Cun in general, sorry, purely a difference in taste). So I probably have very low standards for this drama compared to other people. I thought it was alright in execution. Definitely problems with plot and fillers, but honestly this is a problem I’ve gotten really used to so I don’t mind much anyways. Nice reading a different perspective tho! Honestly I’ll probably have equally high standards for the live-action of The King’s Avatar! Lol totally my bias. Yes, I absolutely agree with you and wish I had read your comment before posting mine because it sums up what I didn’t mention. LOL! It definitely is based on what your expectations are. Like you, I hadn’t read the novel and knew the cast was green, so I didn’t really have any expectations. I was mostly drawn to it because it looked so pretty in the trailers–so I guess that was my only expectation. I ending up liking it, though, and thought that most of it was done well. And I also agree with you about the fillers. While annoying, most dramas nowadays seem to have it, so I kind of just ignore it and accept that it can’t be avoided. Since I don’t know the novel, I didn’t know what was filler and what wasn’t, so that influences my review compared to someone who has read the novel. I agree that I had high expectations for the series, which is probably the reason for my disappointment. It’s not that I love Fei Wo Si Cun or her novels really, I just liked this one, but there are definitely novels that I have loved more. I’m someone that believes that if you have a leading role, you should be deserving of it, rather than working up to it, because you could take supporting roles as experience. I do think that if Peng Xiao Ran was younger and not 28, maybe I would have been more lenient because she would have more years to improve. But I feel like she’s at a time where the next few years are probably the most pivotal moments for her as an actress, if we follow the trends of when most of the current household names became popular. I actually really enjoyed the drama, but this is coming from someone who has not read the novel yet. I agree that Peng Xiao Ran, while extremely beautiful, needs more practice when it comes to the very serious and dramatic scenes, like when she discovers who killed her grandfather. I felt like her crying was forced. I think part of the problem is I don’t really like her voice-actor either. I’ve seen some of the behind the scenes, and I think Peng Xiao Ran’s own voice is more emotional than that of her voice-actor. But this is pretty minor, and I didn’t really affect my over enjoyment of the drama. The only thing that I wished the editors didn’t do was cut out parts of the kiss scene that everyone was waiting for and the ending with Li Cheng Yin searching for the River. It would have made the ending that much more tragic and sorrowful. Aside from some minor hiccups, I consider it one of my must watch tragic dramas. It has gorgeous scenery, beautiful costumes, pretty good actors, a well-paced plot (I didn’t mind the political scenes), and most importantly, it was just so heart-wrenching! Despite its flaws, this drama left the most impact on me in a long time and I thoroughly enjoyed it. I honestly thought both actors, though newbies, portrayed memorable characters. Though I did not read the novel, I had very low expectations for this drama initially since I wasn’t familiar with the new actors. After watching, the drama left a deep impression and it is definitely a must watch. I enjoyed the drama and the two main leads’ acting. I thoroughly enjoyed this drama. It captured my attention for the 1.5 months that it aired and consumed my thoughts. It wasn’t without it’s flaws but I found many great things about this drama. I actually thought PXR and CXX did great in their roles. There were obvious rooms for improvement but, knowing nothing about the actors and going in with little to no expectations, this drama was a highlight of my year. The horrible editing in episodes 36-40 nearly made me drop this drama though, and that’s a rather disappointing thing to say. Acting-wise, I thought PXR did better in the dramatic/ crying scenes than in the beginning scenes where it seemed like she was still trying to find her stride. There were moments of nuance and lucidity in her more emotional scenes that made me love her as an actress (ie: GJ’s death scene and her farewell scene to LCY). Seeing as this was her first big project, she did well. As for CXX, my opinion of him was the opposite of her. I thought he did well in his more playful/ crueler scenes and could’ve used more practice in his more dramatic scenes. Overall, I loved him as LCY/GXW. When I go back and forth between episodes 1-10 and 11-52, there seemed to be a distinction between GXW and LCY as if they were different people and not just one person. Maybe it was CXX’s charisma, but I did root for LCY to win in the end. He was definitely one of the most flawed main leads in the history of basically anything, but CXX made him sympathetic to me. I could rationalize why he did the things he did and I could see that even his decisions were not easy for him to make either. That isn’t to say it excuses his actions, but it made me hate him less. Having scanned through parts of the novel, I was actually grateful that additional scenes before their marriage were added. I could never buy why she fell in love with him in the novel. It just didn’t make any sense to me. I could see in the drama the moment when he fell in love with her again (Ep. 19 when she visits him in prison, you can actually see when his perception of her changes into something romantic rather than platonic). One of my favorite scenes was when he visits her before their wedding and presents her with the puzzle, takes it apart and tells her that he’ll handle all the difficult things so that she won’t have to. It basically summed up their relationship. Despite it being revealed to her that he killed her grandfather, I could see why she would forgive him and still love him after their marriage. The feelings already existed and since she didn’t know the deaths were through deception, it was easier to forgive him if the deaths were a casualty of war. Surprisingly, I didn’t hate LCY (I credit this to CXX). I did however, have a little hate for every other main character. XF for being too innocent; I find it hard to believe that someone who was born a princess would truly think her title and privileges come with no strings attached. GJ for being indecisive and annoying. I honestly don’t know if my strong dislike for him comes from the character or from the actor, I just couldn’t bring myself to like him. Pei Zhao and Ah Du for being too passive and essentially being bystanders to tragedies that were preventable. Master Chai for being the instigator and cause of everything. This was one of the first dramas that captivated me but also caused me to dislike almost every single character. Otherwise I did thoroughly enjoy and would recommend it for anyone who wants to entice their inner masochist. I definitely think you can see that he had loved her before the scene I mentioned. But the cut scene was meant to be I guess the deciding moment in their romance. When they both kind of realise just how much in love with each other they really are. The picture I posted with the captions was released the day the episode was aired, and basically an affirmation of that moment. But when I was watching the scene it just felt comedic. I think your review is a bit too bias as you did not finish the drama. I think both lead did an amazing job and esp CXXed. Agreed that PXR character came off as too childish sometimes but her crying scene was really well done and as for CXX, for first lead role, he was able to bring his character to life . But everyone opinion is different and I respect that. I may have skipped the political scenes, but I definitely finished the drama. As I’ve said Chen Xing Xu did well, I just didn’t think he was perfect. Cinematography is about the stylistic choices of motion pictures, e.g lighting, colour grading, colour palettes, lenses choices. People often confuse it with directing and editing (scenery, beautiful shots, camera movements/choices, etc). For example, Legend of Hao Lan went from lighter colour grading to darker tones to show the transition from Zhao state to Qin state, from happier to more depressing storylines, which is justified cinematographic choices. I agree that the technical film aspects need work, but that is with most c-dramas and even regular tv network western shows, so I won’t give it too much importance, especially since this isn’t a movie. After all, I’m not expecting some David Fincher or Alfonso Cuaron type of perfection. For Goodbye My Princess, I think what really made it work is PXR and CXX’s amazing chemistry and the acting more from CXX’s side. Also the overall heartbreak and angst that this story gives out really attracts the audience. PXR is more hit and miss but she had some decent moments, which is not bad as this is her first lead role. We have plenty of leading actresses who would have done worse. Nevertheless, I think she quite fits the role for most part, and I LOVE her Tang costume and hairstyle. This series was quite enjoyable overall and if Taiwan does broadcast the full uncut version, I’d probably watch it again lol. I think nowadays most people use cinematography and videography interchangeably, which is why I got confused. Thanks for pointing that out. I’ll make sure to be more aware of it from now on. I think this drama is overhyped. Friends have been recommending it for me to check it out, but i dropped it after ep 12, watching it while multi tasking or running at treadmill is still a chore for me. The female lead acting is quite bad, just wide open eyed and mischievous smiles all the times. Too one dimensional. I just dont get male lead visual, something about his nose flaring when he gets angry or excited just make me laugh and cant take the scene seriously. I may just check out the last episode just to see the tragic ending that has been hyped by everyone. I like, no, i love this drama. I havent read the novel yet but i enjoyed watching it. It’s better than many other current dramas. Alright, nothing is perfect. Of course, we had high expectation especially for those who have read the novel. But not many adaptation dramas could do as better as the novel and one’s expectation. The actors did great. The chemistry was great. Some scenes were probably ‘too much’, but still tolerable. Beautiful cinematography. And outfits. And of course, female lead is pretty and the male lead is handsome. But it was awkward looking at the queen’s eyebrows lmao. Im really glad that i found this drama and the actors. I havent watched anything with this two leads but i will. I already recommended this drama to my friends and most of them like it. I think it’s a happy sad ending. Lols. I love the red costume on her. It was as if she was a bride in waiting to get married in the beginning. Toward the middle, she wears white and light colors to show her innocence. What more can I say? Her choices of clothing were well-though. This was the first time I watch a drama taged as tragedy because I like my happy endings… however this drama I was fine with the sad ending. It was an emotionally charged drama and I give credits to the actors especially CXX…who embodied such a complex character…LCY…that you love, pity, sympathize, and hate at the same time. This is also the first drama I watched at least twice and will revisit earlier episodes again (to watch the beautiful moments these two youngster fell in love) and of course the later episodes bwhen they again fell in love…like many of you I can clearly see when LCY fell in love with XF…. Ahh this was such a beautiful drama despite it’s flaws. my heart broke for LCY and XF…two people who deeply loved each other but failed victims to politics of their time and the consequences of their decisions. For those who haven’t watch it, i will recommend you to watch it as this series is actually a good series ..
Like someone mentioned above I think it all depends on the lens in which you perceive it from. Me being a person who had only read snippets of the novel can’t actually compare the drama with anything. I hate sad endings and normally steer away from dramas that have sad ending. If i get to know beforehand that s drama has a sad ending, I generally don’t watch it but in this case I just couldn’t let go of this drama. Thus I ended up finishing it raw mostly. In my opinion I loved the drama. Despite some minor hiccups in the middle I felt the drama did a decent job. The actors in my opinion were great. I felt as kinda-rookies the main leads were amazing in portraying their roles. Also the songs hit me so hard in the feels and I felt that they were in parallel to the story. With a drama that had relatively unknown cast, it rose to fame quickly (mainly as it was an adaptation of favorite novel) still I feel it did a good job. The cinematography was amazing for a web drama and also the clothes were so amazing. I love PXR’s red costume and even the male’s costumes so beautiful. For me GMP was a drama that had the most stylish male costumes in a historic drama. I read the novel and the drama, in an attempt to soften LCY, ruined both LCY and XF. Novel LCY wasn’t likeable or the least bit sympathetic but he wasn’t supposed to be. He was fascinating though. His plans hid other plans which hid other plans and it was fascinating to see it get revealed bit by bit in the novel. Evil genuis indeed. Drama LCY’s “plans” weren’t all that complicated or interesting and in the end, didn’t even matter. He didn’t even end up killing the 2 families that set him on the path of revenge in the first place. But yet he had no problem killing off XF’s entire tribe so yeah…no sense. He even ended up treating Sese better than XF. Drama XF is also weaker than novel XF. She fell in love with him again after knowing that he killed her grandfather and her tribe! That took away all the anticipation for her to regain her memories since she already knew that one piece of the info. The only thing she didn’t know was how big of a deception LCY put on. I didn’t like all the changes they made leading up to her death either. I don’t know, I just thought the novel was a lot sadder and more complex. The drama made it very typical in a lot of ways. Of the subject – can you or someone from your website, please change the TOP PICTURE of your home page. 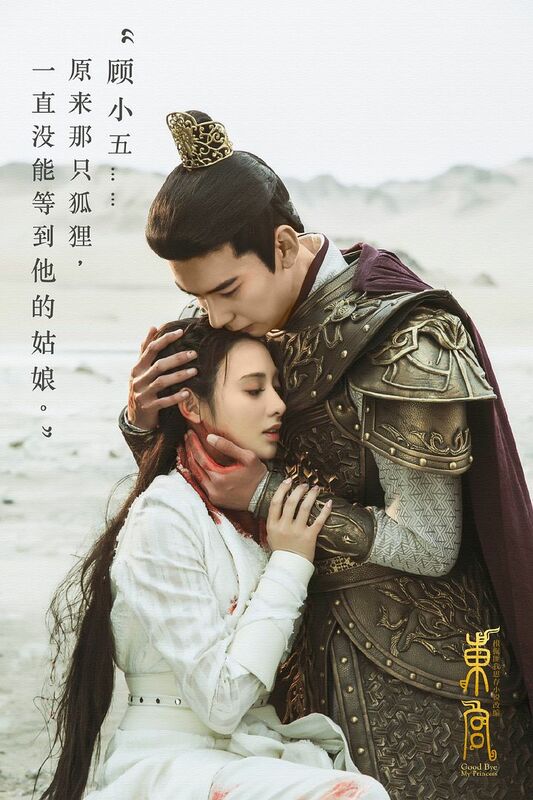 The bloody picture of LI Yifeng and Zhao Li Ying? I’m sure you can post another much more attractive and cheerful looking for us viewers. Thank you very much! I’m pretty sure the banners are refreshed randomly bc I don’t see that picture, and when I open/refresh the page in incognito (bc cookies) the banner changes. I don’t think it’s just Chinese culture only. I think people don’t talk about it, but they all thinking that way in some way – realistically. Have you ever gone to an American wedding? Often times some people asked for outrageous wedding gifts (expensive) when they registered for their wedding gifts at stores. i don’t read the novel and felt like being fooled, tricked by sweet and cute scenes in the drama that lead to tragic/sad/dark ending. Really dislike it. What a waste of time. Because the ending in this drama is not necessarily to be sad/tragic/dark. forgiving must be hard, but to “let go” is something we always have been taught for. but it is not to “let go your own life”. Suicide “while the circumstances actually do not need you to suicide” is such an ugly solution. –unless you are a soldier forced and tortured to leak secret code…jeez. she’s not even in such state. Her reason to suicide is more because she cannot manage her own feelings/ego/mind, which in nowadays, many people also commit suicide because of this reason. …as if telling people “it’s ok to suicide”. So this drama is really … badly ended.